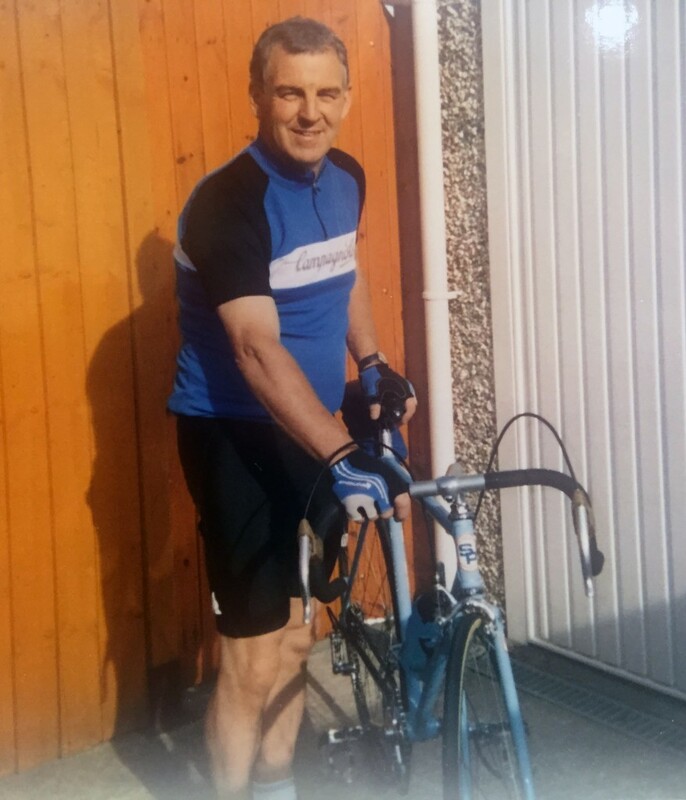 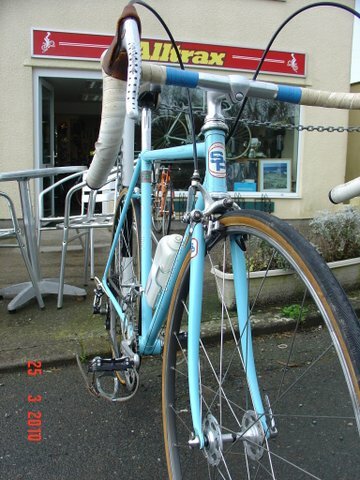 Here are some more pictures of the bike as it was when I purchased it from Mr Alan Cox who was the second owner of the bike having bought it from Mr Sweet of Plymouth. 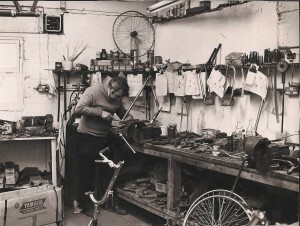 At the time of having the bike in the shop for sale I managed to trace Mr Sweet, he came to the shop to see the bike, unfortunately I was out at the time so did not get to meet him, but he did leave a contact phone number. 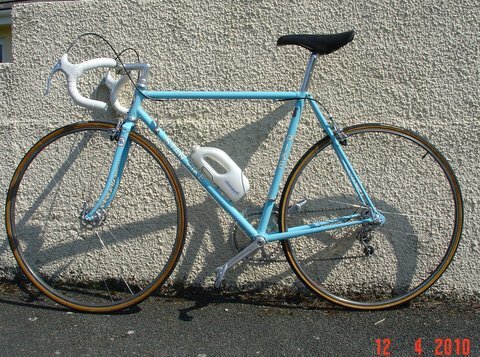 I still have the receipt from Mr Sweet confirming the sale to Mr Alan Cox for £350 for the complete bike. 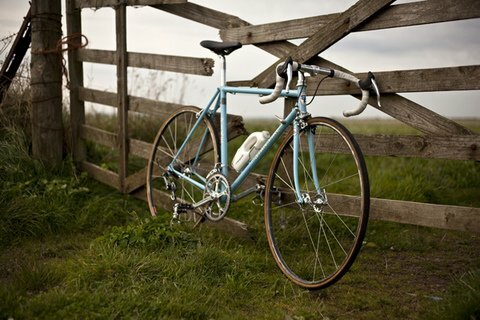 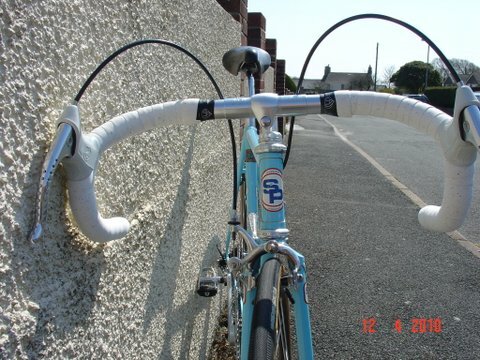 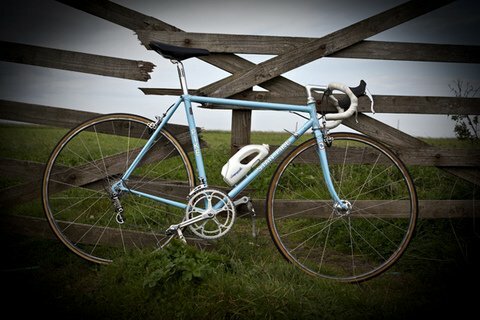 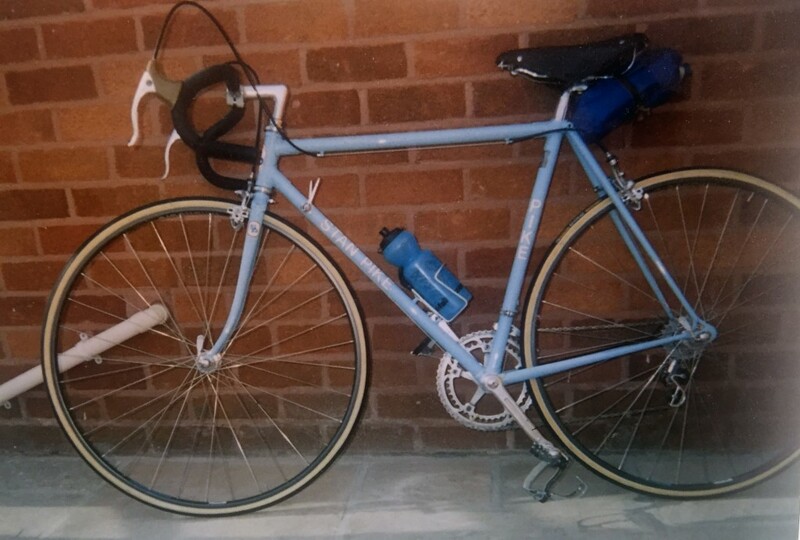 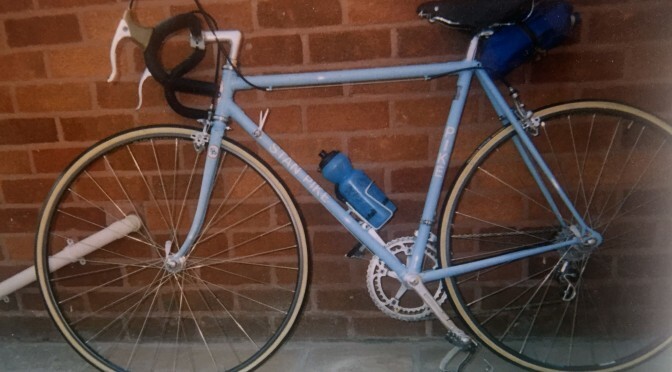 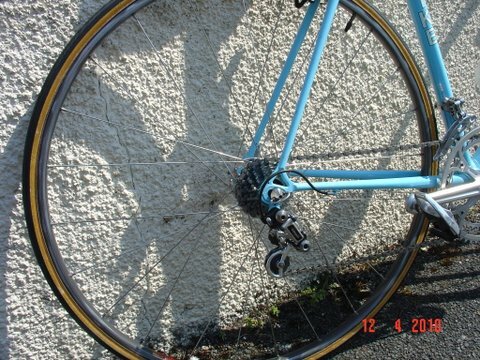 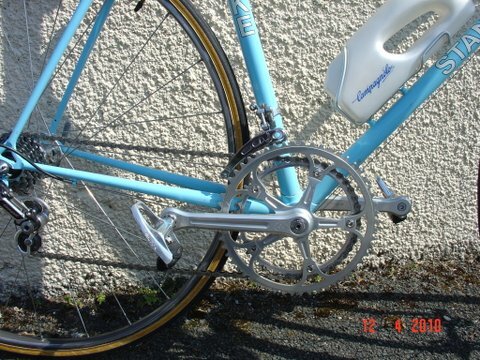 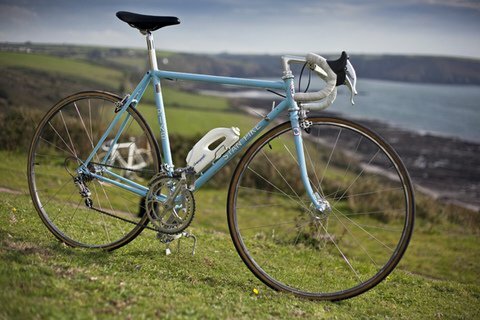 Trevor Harrison bought the frame & forks from me as I striped the bike down & sold all the Campag Super Record parts separately.